Co-Founder and Executive Director of the Capital Investment Network and a Founding Partner of the Women's Equity Lab. Stephanie Andrew is Co-Founder and Executive Director of the Capital Investment Network (CIN), a non-profit organization dedicated to strengthening the local angel investment community and a Founding Partner of the Women's Equity Lab. 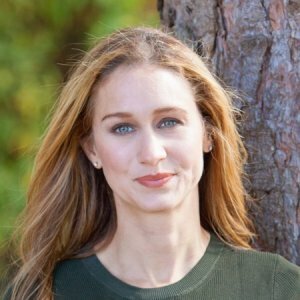 She also works in Venture Debt/Venture Capital where she has lead Due Diligence and Risk Assessment efforts on over 100 corporate debt and equity transactions with deal size ranging from one hundred thousand to several million dollars and developed Espresso Capital's early credit scoring methodology. Stephanie is an angel investor, a Client Advisory Board member with the University of Victoria’s Innovation Centre for Entrepreneurship program, a BCIC-New Ventures Competition mentor and previously a Board member with the CFA Society Victoria. Stephanie completed a MSc in Molecular Biology and Medical Genetics at the University of Toronto, an MBA at the Schulich School of Business and is a CFA charterholder.